It is no secret that a document can be both electronic and paper version. Of course, an electronic document is much easier, but in order to convert one to another, require special equipment. Today there are many ways to create a copy of a paper document, translate from paper format to electronic, etc for making copies of paper documents required only copier, to translate a paper document to its electronic format will require not only special equipment, but also software. How to create an electronic version of the document? To create an electronic copy of the document, the user will need a scanner or MFP (multifunction device). Of course, if the needs of MFP not, and buying it is not easier to do it with a scanner. First, it is much cheaper, and secondly, it will perform exactly the function that a user wants, namely to scan a document and translating it into electronic format. To run the scanner will need a special software driver. Usually it is bundled with the device, but if not, you can always find on the Internet. You can use the software ABBY Finereader, which is made by directly scanning and text recognition. The entire procedure of converting paper document to electronic format can be reduced to two processes (scanning and OCR). For CSOs to make an electronic copy of the document, you must: go to the start menu and the all programs list to find either the driver from the scanner or MFP, or software ABBY Finereader and run it. After starting the program and scanner you can open the cover and put it on a paper document text down. The document should be placed on the surface of the scanner as straight as possible against the edges of the working surface of the device. Next, you as tightly as possible to squeeze the cover to prevent the light from falling on the work surface. Otherwise, the electronic document will turn out overexposed, that is part of the text that was in the light will not be visible. Next, in the settings you should choose optimal scan parameters, such as color, output size, output resolution, etc. When you're ready, you can press the button "Scan". When the procedure is complete, click on "Recognition", which will be converted into electronic format, for example .doc, and the document can be opened in a text editor to make changes. Making a copy of the passport is not particularly difficult. The only question is the requirements from the organization, which it is intended: as required pages, what do I need to assure it at the notary or simple enough, do I need to flash the document. Depending on this, determines the order of necessary actions. - notary services (not in all cases). Specify all of the requirements of copies in the organization, which she took. This will help you avoid extra costs and body movements and immediately prepare the document that you want. In most cases, a simple copy of the passport. In this case, you can make copies of pages through the copier in the office or at home or go to any place provide such services, report, copies of which pages you need and make the payment. Often necessary only turns with your personal details and photo and information about the registration address. But may be required and all pages with stamps or, less frequently, generally all pages of the passport. 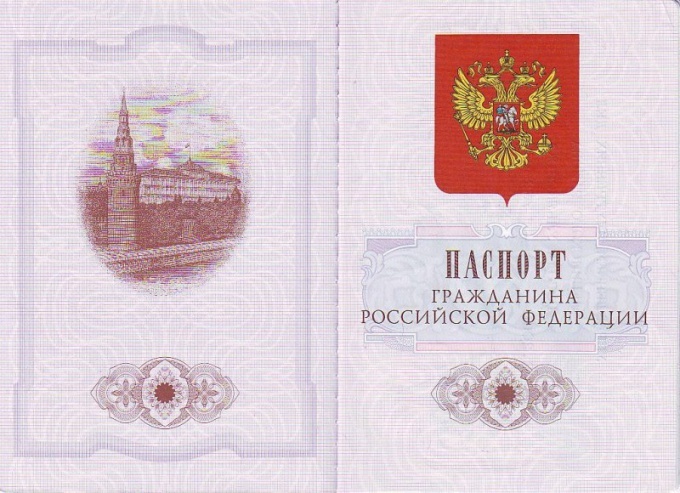 Special case - copy of passport of the individual entrepreneur. Upon presentation of it in tax, you usually need to staple all pages steppleton or thread and glue on the back of the place of bond paper indicating the number of sheets, date, signature, its decoding and the presence of a seal. 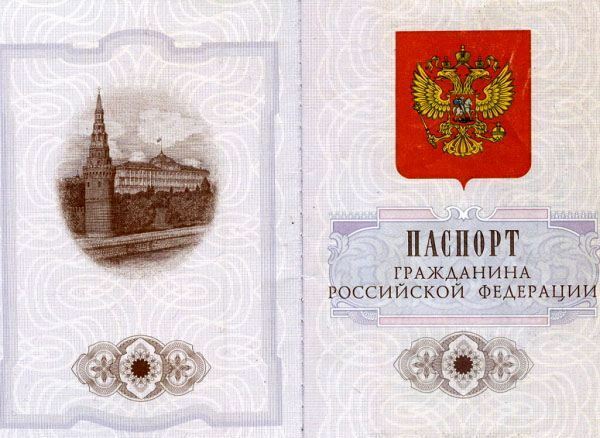 In some organizations, the entrepreneur must assure a copy of your passport with the inscription "true Copy", date, personal signature, its decoding and the presence of a seal. If you need strictly a notarized copy, contact the notary with your passport and pay for his services according to the current pricelist, and he will do all that is necessary. Today, the document has a transitional period, when "document" with equal degree of probability it may be a sheet of paper, and electronic file. A method of making copies with the original documents can be even more so in addition to creating copies of paper documents on paper, they can be copied and electronic files, as files can be copied in electronic and in paper form. If the original is a paper document and a copy thereof must also be received in paper form, you need a copy machine - Xerox. If access to it is not at home, at work or with friends, find any private company that provides Photocopying services - for example, a shop engaged in making copies of documents. In state institutions, related to the documents of the population, you too can make a xero- copy - these services are provided to tax offices, passport offices, pension funds, etc. If a copy of the original paper document in electronic form, in addition to the scanner, you can use any modern camera, able to save the image file. These two devices (scanner and digital camera) will allow you to get the most high-quality electronic copy of the document. If the only important information contained in the document, and as a minor, you can use the built-in camera of mobile phone or laptop. Obtained by any of the listed devices files with copies of paper documents can be used electronically and printed using the printer. If the original document contained in electronic form (in the file) and a copy thereof must also be a file, then create a copy using a computer program that is installed with your computer's operating system file Manager. To run it on Windows, it is enough to simultaneously press WIN key and E (Russian). Finding in the opened window the file that contains the original document, click on it once with the left mouse button, and then press CTRL + C and then CTRL + V. as a result, In the same folder will be a file with the same name as the original document, but with the addition of "Copy" at the beginning of the name. 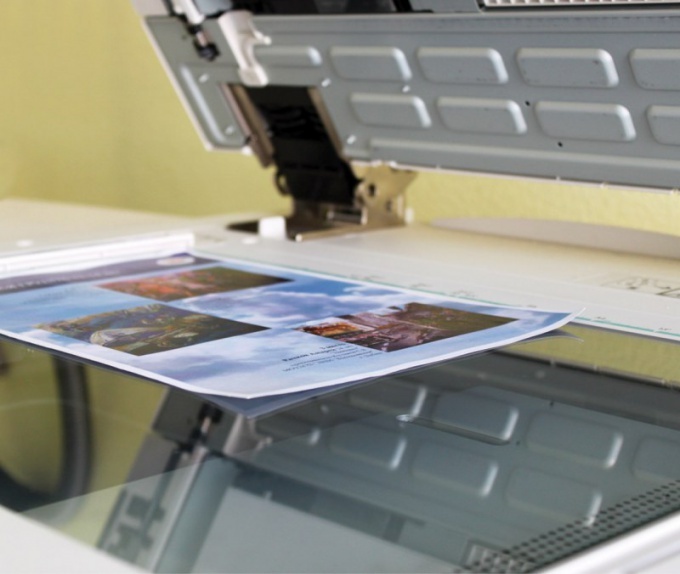 If the document is in electronic form it is necessary to create a paper copy, it will need a printing device is a printer. 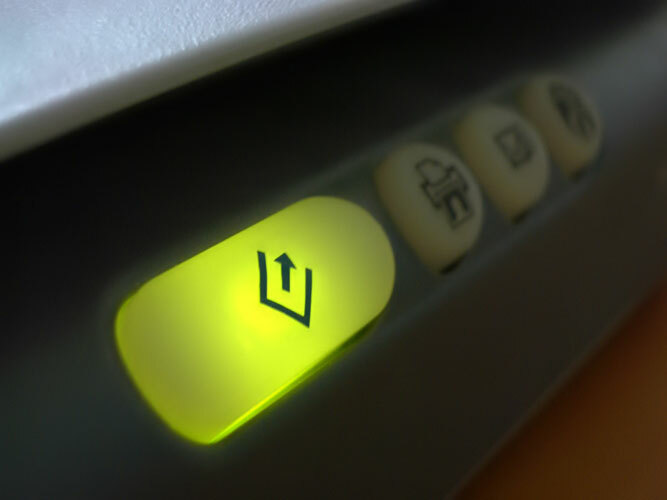 If the computer is connected to such a device, open the original document in the appropriate size editor, press CTRL + P and the document will be sent to the printer. An alternative method can be used if the printer is not, and has the ability to send a document from the computer and get him on the phone, equipped with Fax. This method makes sense to use, if the paper copy doesn't matter. Often in the design of various documents you are required to present a passport. But what if you need to verify your identity via the Internet, for example, when using the portal e-services of any government organization? In this case you will need fromyou to scan your passport. Subject to what actions the scan of your passport will be accepted as a necessary supporting document. Familiarize yourself with the requirements of the site or organization where you're sending the scanned image. Get familiar with what image format you want whether recognize text in the image, what should be the minimum and maximum size of uploaded file. This is important because otherwise your file may not be accepted. Connect the scanner to the computer. Check the connection under "Printers and faxes" through "settings" in the menu "start". If the printer is correctly set in the "Printers and faxes" you should see a icon with his image. Open the passport to the desired page and put it on the scanner glass with the words facing down. Pay attention to marks on the scanner glass. The passport must not go beyond the boundaries marked for scan A4. To do this, move the edge to the corner of the glass, marked with a special arrow. Turn on the scanner using the button "Start". If necessary, change the settings of the scanner itself. Under "Printers and faxes" double-click on the scanner icon. You will open the settings window. With it, you can specify the format of the scan. Also, if necessary, select in menu scanning with text recognition. This is necessary if you are going to further format the text. The menu also specify a desired file size and color of the scanned image. Click "Scan". Do not open the document cover or move the passport as long as the scan is completed. The resulting picture, save in your computer or on an external drive. Name the file so as not to confuse it with others. If you are going to subsequently send it to foreign sites, call it Latin - Cyrillic text can be correctly interpreted by the system. If the image does not match, for example, requires a volume, open it in photoshop and shrink to the required size.